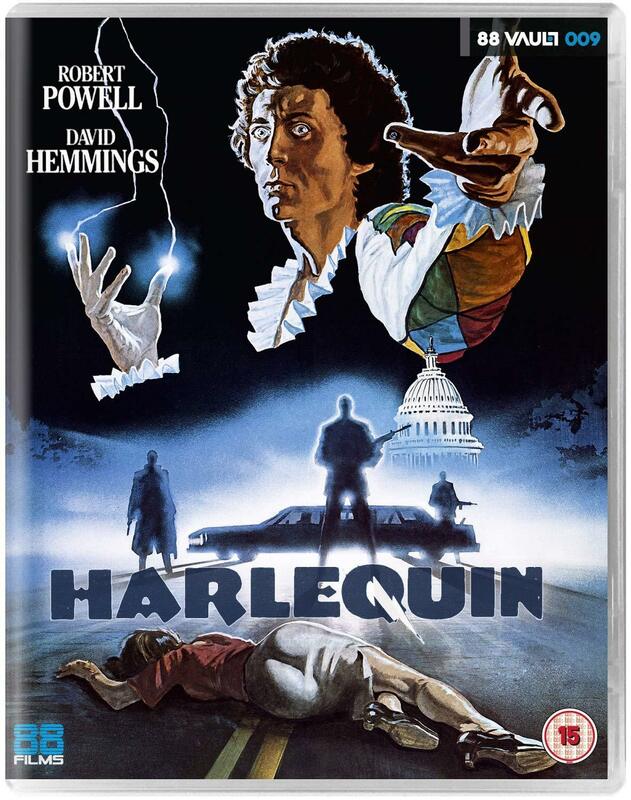 For fans of Ozploitation it is the likes of MAD MAX (1980) or even the trash-tastic TURKEY SHOOT (1982) that may first pop into many a horror hound's mind - however, the cycle offered so much more and never is this clearer than with the surrealist shocks of HARLEQUIN (1980) a true genre standout that was also released under the more ominous moniker of DARK FORCES. In this oddball mix of sci-fi, horror and political espionage (yes, you read that right) a mysterious healer appears in the abode of a leading American senator who finds that his terminally ill son is quickly cured of his leukaemia. The appreciative politician opts to keep this puzzling presence around... although all is not as it seems. With a cast that includes such acclaimed thespians as Robert Powell (TOMMY) and David Hemmings (DEEP RED), the thrills come thick and fast in this genuine curiousity that, once seen, is hard to forget - exactly what one might expect from a script penned by the legendary Ozploitation hand Everett De Roche (LONG WEEKEND, PATRICK, ROAD GAMES, FORTRESS)!